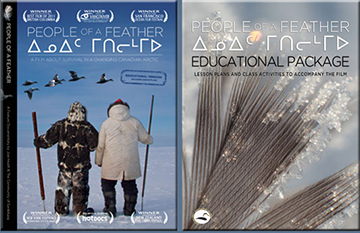 Featuring stunning footage from seven winters in the Arctic, People of a Feather takes you through time into the world of the Inuit on the Belcher Islands in Canada's Hudson Bay. Connecting past, present and future is a unique relationship with the eider duck. 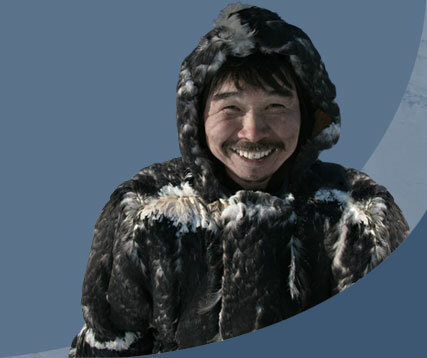 Eider down, the warmest feather in the world, allows both Inuit and bird to survive harsh Arctic winters. *Now available worldwide, the home DVD and Bluray include 37 minutes of behind the scenes and special features. 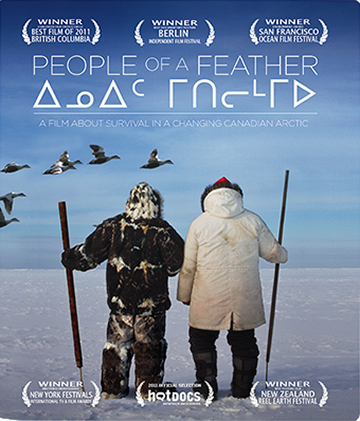 Proceeds from People of a Feather support our charitable programs working with Inuit communities to address cumulative impacts of environmental change on sea ice ecosystems. **As featured in HotDocs for Schools! 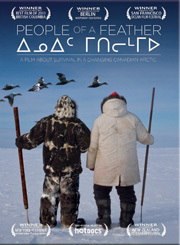 Includes both 90 and 52 minute versions of People of a Feather, 34 minutes of special features, and a series of five lesson plans that further explore Inuit culture, technology, filmmaking, the ecology of sea ice ecosystems, and energy solutions that work with the seasons of our hydrological cycle. 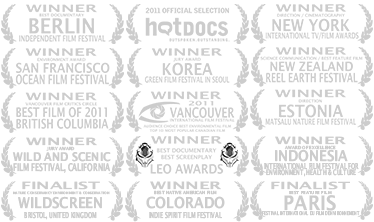 The educational license is required for libraries, schools, universities, industry, non-profits and government. BPP University, 137 Stramford St.
QUAD CINEMA - Back by Popular Demand! WINNER - BEST FEATURE DOCUMENTARY!